Hurtigruten has reached out to its Facebook fans in search of a new name for their newly acquired ship, temporarily named MS Norway Explorer. The 7,025 gross ton ship, formerly a car ferry named MS Atlantida, was built by Estaleiros Navais de Viana do Castelo (ENVC), Portugal, in 2009. In preparation for entering service in 2016 she will undergo total reconstruction and will be specially adapted for sailing in polar waters. Engineers will also make further adjustments to reduce fuel consumption and emissions. The highly manoeuvrable ship can accommodate 320 guests across 180 bunks. It spans 97.53 metres in length, 18 metres in width and has a draught of five metres. The diesel electric vessel uses two 360 Azimut thrusters for propulsion and can achieve speeds of 17.4 knots. The ship will take the Hurtigruten fleet up to a total of 13 vessels and will replace MS Midnatsol sailing along the Norwegian coast, when it sails to join MS Fram in Antarctica for the winter season of 2016/2017. Before she enters service she needs a new name to replace “MS Norway Explorer“. Rather than decide this internally during a board meeting Hurtigruten has turned to its Facebook fans for suggestions. They have issued some guidelines to follow. The name must start with “MS” (Motor Ship) and must be a Norwegian word or words. The name can be an international word, however, with Norwegian origin, as for example the word “fjord”. Understandably Hurtigruten has the right to remove suggestions which are inappropriate or offensive. The name should then naturally match the rest of the fleet and be coherent with the Norwegian explorer history. For reference the fleet is made up of MS Midnatsol, MS Trollfjord, MS Finnmarken, MS Nordnorge, MS Nordkapp, MS Polarlys, MS Nordlys, MS Richard With, MS Kong Harald, MS Vesterålen, MS Lofoten and MS Nordstjernen. Entries can be submitted here on Facebook until 10th August 2015. The top suggestions will be presented to the executive management at Hurtigruten who will then make the final decision. 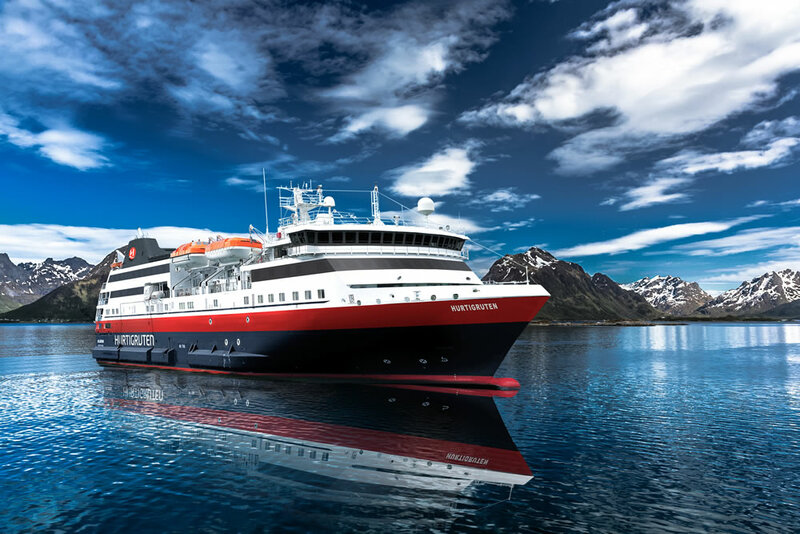 To incentivise suggestions Hurtigruten is offering the winner a free cruise voyage on the new ship next year, as she travels along the Norwegian coast. The prize will include flights, cabin on full-board basis and excursions.